Seacroft is a stunning holiday cottage nestled above the North Devon coast near Woolacombe beach. Breathtaking panoramic sea views offer a tranquil treat for the senses. This luxury self-catering holiday home boasts 5 double or twin bedrooms, all with en suite. Fantastic natural light floods through the bay windows in both the spacious kitchen and the bright front lounge. 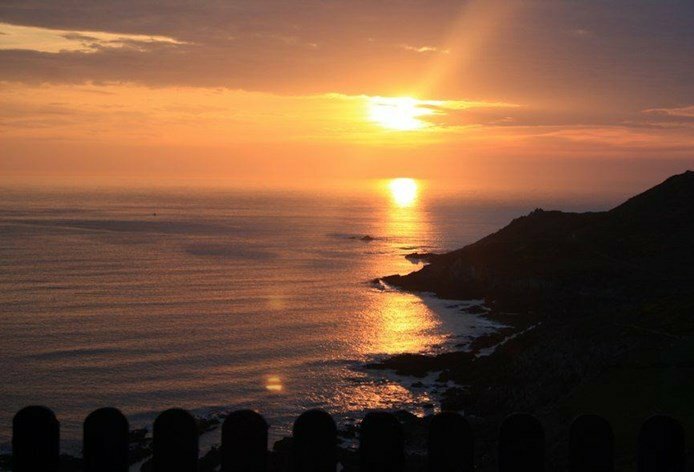 Enjoy the picturesque panorama that scans award-winning Woolacombe Beach to the west, north out to Lundy Island, and ahead from Grunta Beach to Morte Point. Seacroft is conveniently located less than 1 mile from Woolacombe, within the North Devon Area of Outstanding Natural Beauty and provides easy access to the Coastal Path through the National Trust headland. Here you will find some of the UK’s best walks. Inside Seacroft, a wet room is provided for the surfers, swimmers, damp walkers or dogs. Since it is fully insulated with gas-fired central heating, Seacroft is the perfect cosy cottage all year round. And if you crave a bit of quieter outdoor life, relax on the raised deck or upstairs terrace, taking in those spectacular views and sunsets. 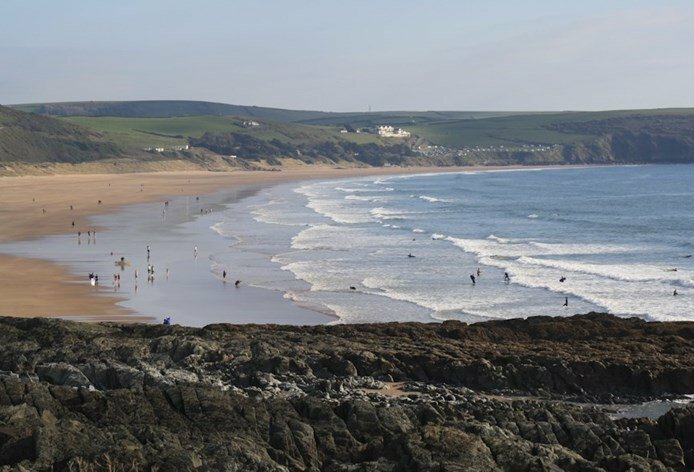 Located less than one mile from Woolacombe with its famous surf beach and friendly town, you can enjoy a variety of shops, cafes, restaurants, pubs, a chemist, Londis, laundromat, miniature golf and other amusements —all within a short walk or drive. Lastly, Mortehoe village is a 5 to 10-minute walk up the hill, past the 13th century church. In this ancient clifftop village you will find a museum, two pubs/eateries, a lovely cafe, museum, park, shops and a haunted manor dating back to the 11th century. © Seacroft 2019. All rights reserved.